According to three different sources resulting from a quick Google search, “losing weight” is the most common New Year’s resolution. With two weeks of 2014 under our collective belt, it’s safe to say our resolutions are going strong, right? No? Need a little motivation? Well, Hinda’s here to help! A new year means new fitness DVDs, equipment and books have been added to our award assortment. Check out a few of these great items that will help you stay on track and motivated to reach your goals! Get ripped with America's toughest trainer! Jillian Michaels: Ripped in 30 is a comprehensive 30-day diet and exercise plan designed to get you in the best shape of your life! Who needs a gym when you’ve got your own personal trainer? 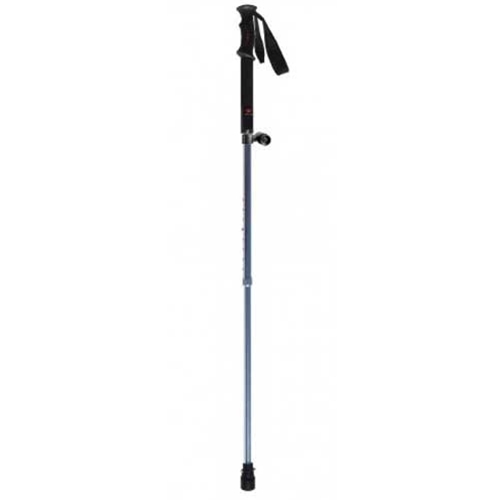 The Trekking Pole combines the qualities of an environmentally friendly, lightweight, durable trekking pole with all the features of a high-end pedometer. The patented sensor housed within the walking tip counts your steps each time the pole contacts the ground, and the LED unit boldly displays the time, steps taken, total distance and calories burned. Reach new heights with your fitness routine! 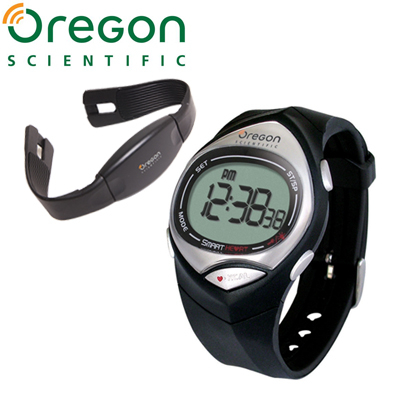 This easy-to-use, compact heart rate monitor is a watch with basic heart rate measurement and calories burned features. With a simple tap on the lens, you can change the readouts to display relevant information. The included chest belt transmitter is worn comfortably against the skin to pick up heart signals and sends them wirelessly to the watch. Track your stats to reach your fitness goals! From the author of “StrengthsFinder 2.0,” “How Full Is Your Bucket?,” “Strengths Based Leadership” and “Wellbeing” comes a transformative book and online application that will improve your health for years to come. 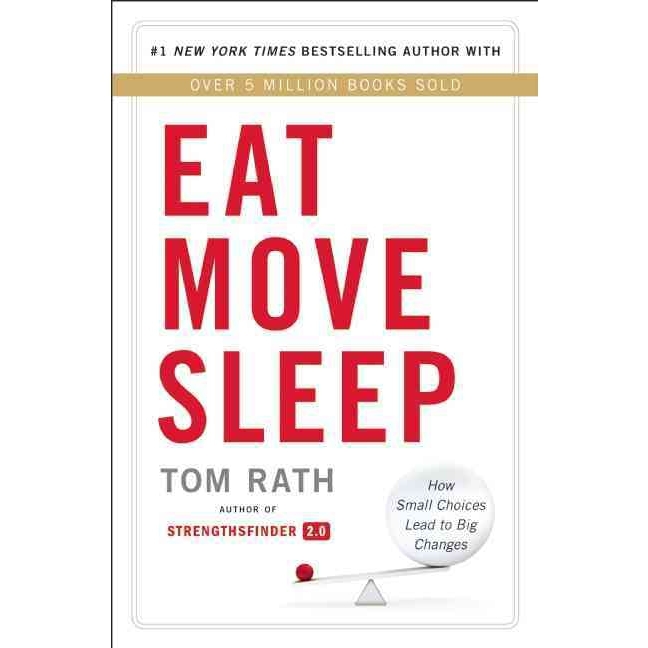 Quietly managing a serious illness for more than 20 years, Tom has assembled a wide range of information on the impact of eating, moving and sleeping. A New York Times Bestseller. Hinda Incentives has announced the winners of the prestigious Golden Carrot Award, which were presented at the Hinda Incentives headquarters today in conjunction with the Motivation Show. Apple and Mach 1 Global Services, Hinda’s home delivery carrier, were selected as this year’s winners by demonstrating a solid commitment to providing innovation, service and cutting-edge products to the multi-billion-dollar incentive market. Hinda’s Golden Carrot Award recognizes its supplier partners who have consistently demonstrated dedication to the field of incentives. "When you put two top companies like Apple and Hinda together, it results in a great partnership,” says Rick Bowen, Hinda’s Merchandise Manager. “Candice Lacrosse (Senior Account Manager, Corporate Gifting and Rewards for Apple, Great Lakes Region), has worked very hard with our team to include Apple products in our programs in a timely manner. We are both dedicated to delivering the best product and the best service to our award winners. Candice and Apple have been supportive and are an important partnership." Winning the Golden Carrot Award was a sweet surprise for Kari Thomsen, District Manager for Mach 1 Global Services. “We are so happy to receive this award because we had to work hard to earn Hinda’s business,” says Thomsen. “I went to see Benito [Bustamante, Hinda’s Warehouse Manager] every Thursday to promise him the world. It took a lot of work to gain his trust and earn some business, but after six months he finally gave us an opportunity. Now I feel like we are an extension of Hinda.” Mach 1 Global Services CEO, Jamie Fletcher, who is based in Phoenix, also attended the award presentation. Bustamante did finally give Thomsen an opportunity, but admits they tested Mach 1 with some really difficult deliveries. Selection for the Golden Carrot Award is very competitive. The extensive list of criteria for winning suppliers include high-quality products, innovation, timeliness of deliveries, prompt follow-up, the ability to provide updated product information and reliability, among others. Check out pictures from the ceremony here! Today, Administrative Professionals Week is one of the largest workplace observances outside of employee birthdays and major holidays. In the year 2000, IAAP announced a name change for Professional Secretaries Week and Professional Secretaries Day. The names were changed to Administrative Professionals Week and Administrative Professionals Day to keep pace with changing job titles and expanding responsibilities of today’s administrative workforce. There are more than 4.1 million secretaries and administrative assistants working in the United States, according to U.S. Department of Labor statistics, and 8.9 million people working in various administrative support roles. Remember, Administrative Professionals Week is always the last week of April, so be sure to mark your calendar for future years! Read more about Administrative Professionals Day here.